In the last Higgledy lecture we wrapped our flowery heads around the subject of Hardy Annuals. It was emotional. If you have just joined us may I suggest you take a peek at the previous posts and get yourselves up to speed. There could well be a surprise test…points could be deducted…no one said this was going to be easy. 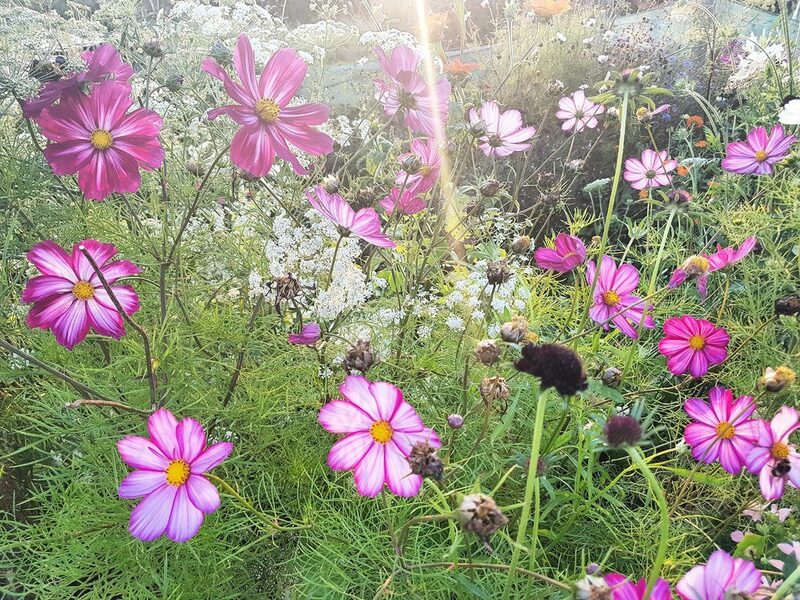 In simple terms…hardy annuals can cope with frosty weather…and so their seeds can be sown in autumn as well as spring. Half-hardy annuals will keel over if they so much as look at a frost. The slightly annoying thing about Half-Hardy annuals is that they can also require a long season to flower. If you consider they are usually native to places closer to the equator…they haven’t got seasons to get worried about…so they just hang around in the sun, smoking cigars and drinking Tequila until such a time as they feel like flowering. 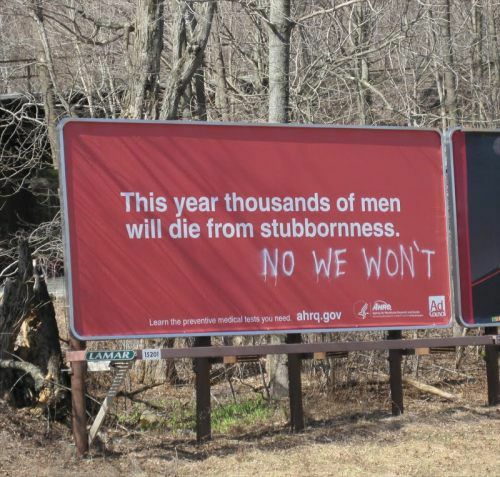 To combat this we must sow them relatively early. I sow mine in pots in early April. I plant these seedlings out in late May. They flower from July…and right through until Halloween-ish if the weather is mild. Nicotiana. Thx Rosie, for the pic. HHA are not at all faffy…there is a little work sowing up the pots…but even then, ‘work’ is the wrong word…it is nothing short of a joy my dear. 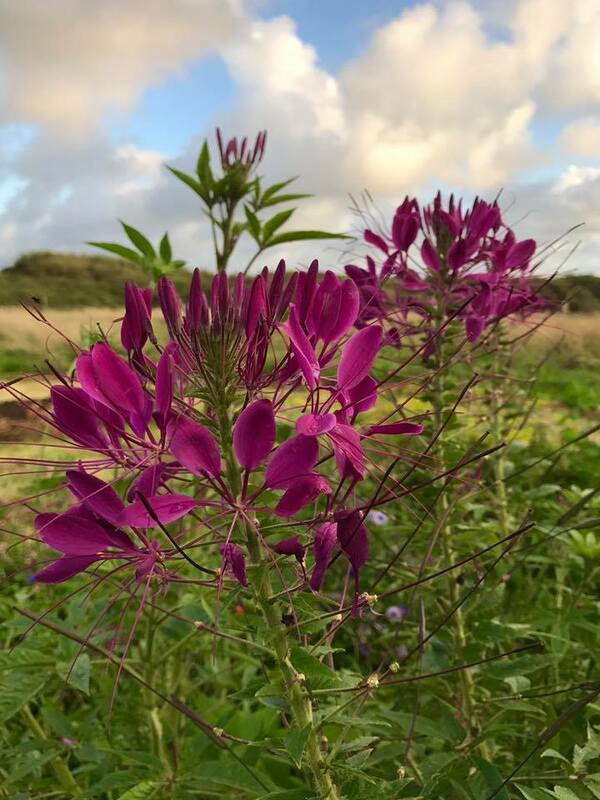 HHA also offer us more flamboyant blooms….often not as many as their hardy brothers and sisters, but this just means we use them more sparingly. 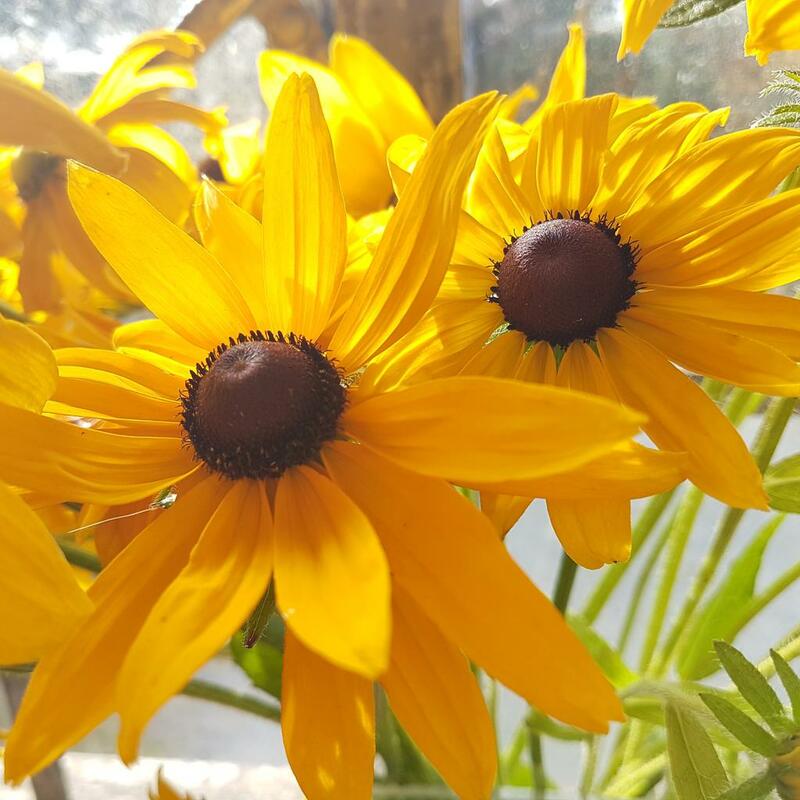 Some HHA are flower making maniacs…for instance, my old friend, Rudbeckia ‘Marmalade’ is an incredibly prolific fellow….and no one would dare call him ‘faffy’! ‘After my husband died in a freak golf buggy accident (which my lawyers are confident I will be acquitted for), I was able to dig up his vegetable garden to use for a cut flower patch. Can you recommend some HHA to plant there? Would you have time to come over to Bonkton Hall to help me with my needs? Here are my Top Seven Half Hardy Annuals for planting in your recently deceased husband’s vegetable garden. *Rudbeckia ‘Marmalade’. I’ve already mentioned this chap once…here he is again. 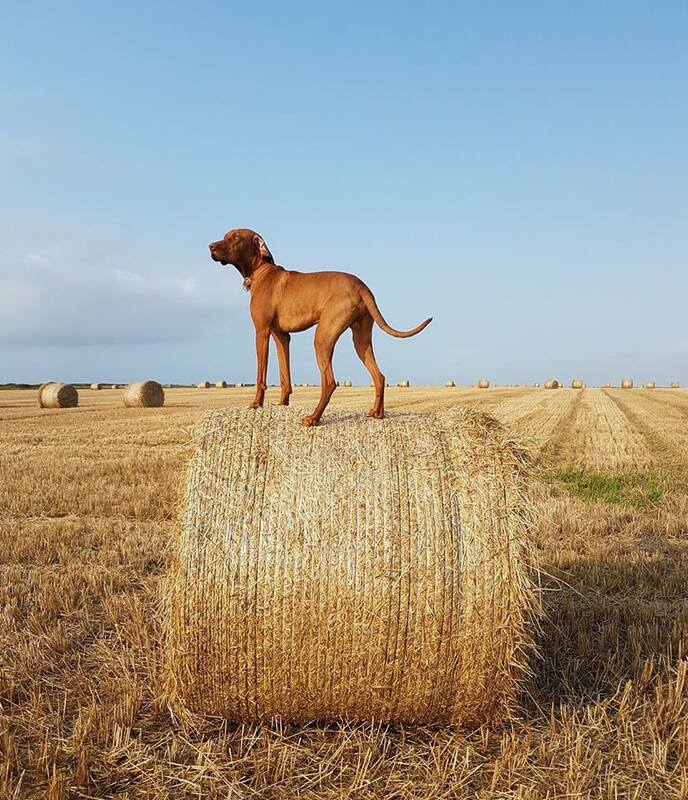 Handsome, reliable and very cheery. I have never been without ‘Marmalade’ in a cutting patch. Some folk just loath yellow flowers…I think there was a movement against them in the 1970’s…it’s time to get over it. *Cosmos ‘Fizzy Rose’. ‘Fizzy Rose’ is the new Shelia in town. She was loved by almost everyone who grew her this season. At first, I thought she might be a bit of a flouncy tart…but, not so…I’m not going to suggest she is ‘classy’…like ‘Albatros’ (AKA ‘Purity’) but she is a chirpy lass and we LOVE her! *Tithonia ‘Torch’. This Tithonia is a gem. 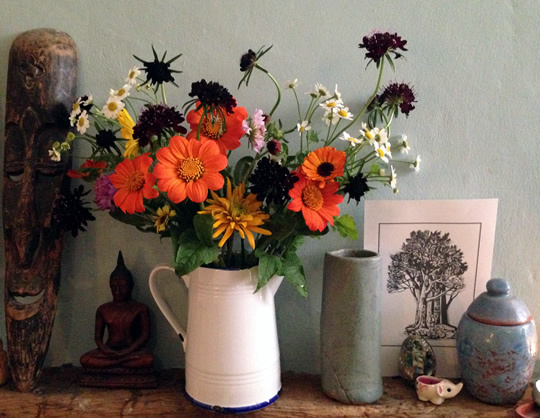 The lovely Constance Craig-Smith grows lots of this (Well….she has a good seed supplier…) Tithonia like a rich soil. Be careful of the delicate and hollow stems. Thank you to the wonderful Kerry Skinner for letting me share her pic of ‘Violet Queen’. *Sunflower ‘Earthwalker’. Lots of seed companies will tell you that sunflowers are Hardy…well…sometimes they will make it through a winter but not often. ‘Earthwalker’ has chocolate, bronze and ginger blooms on branching stems. The second flushes of flowers are much smaller and easier to use in arrangements. 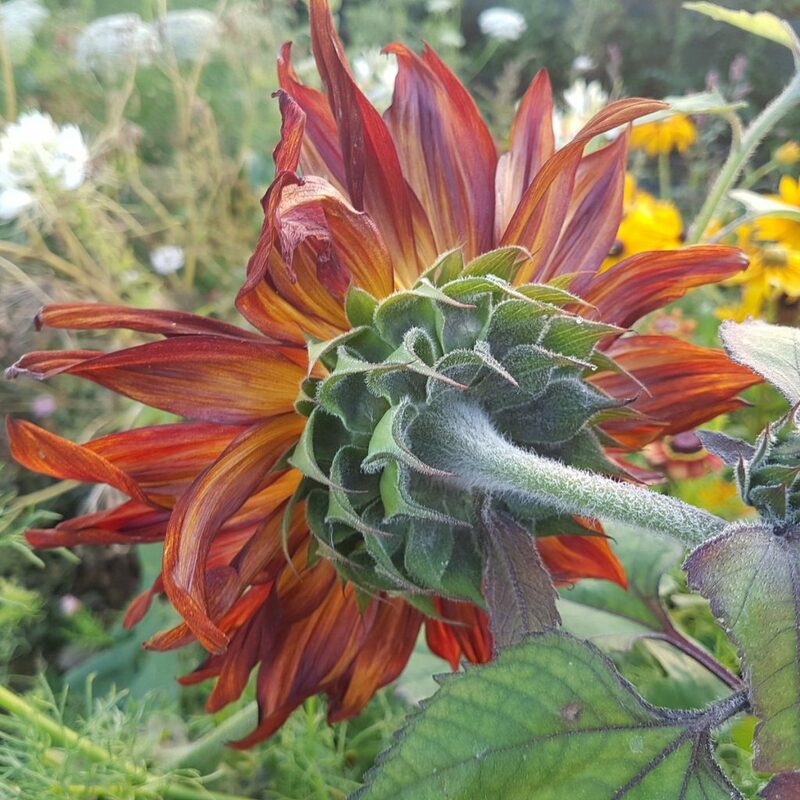 I generally don’t grow sunflowers for the vase…I just like them loitering in the patch. They are always good for a bit of banter and are often very well read, and up on current affairs. Rosie takes great pics of her flowers. I can’t swear this is from my Nicotiana ‘Sensation mix’…but it easily could be. 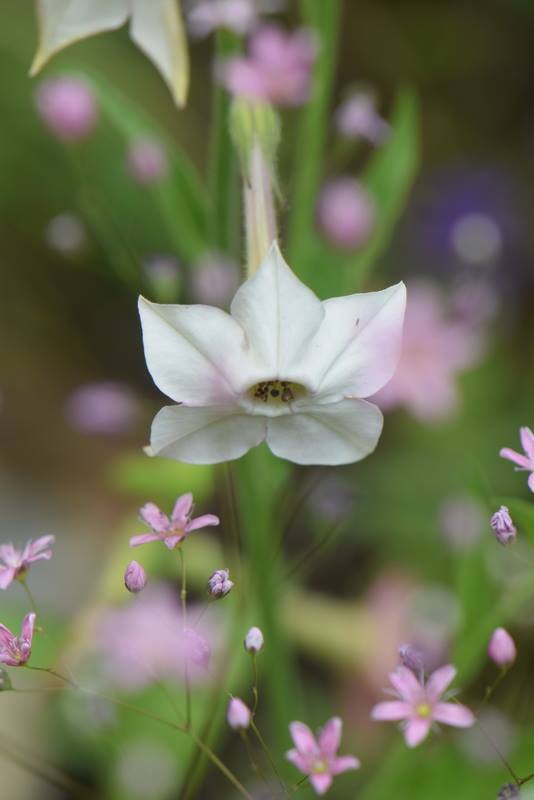 *Nicotiana ‘Sensation’. I had the best year ever for Nicotiana. I should have won awards and been on the telly. Nicotiana are beautiful creatures. 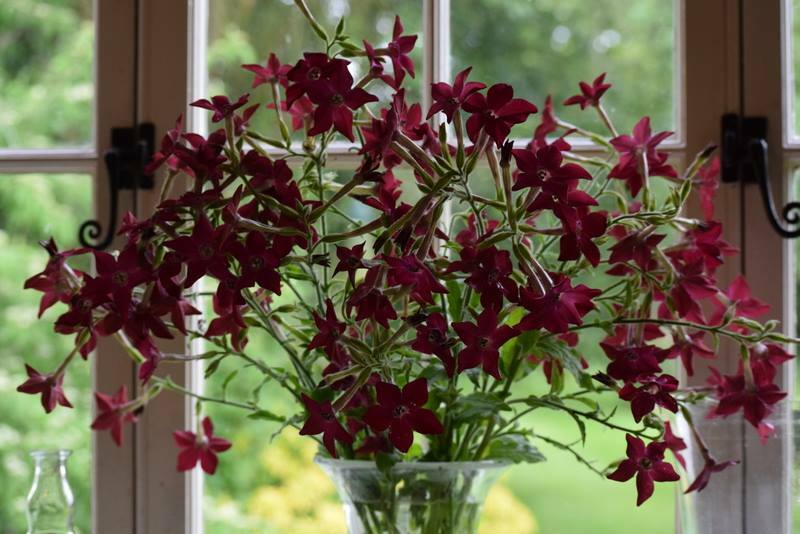 I grow three varieties….but this year ‘Sensation’ won me over. 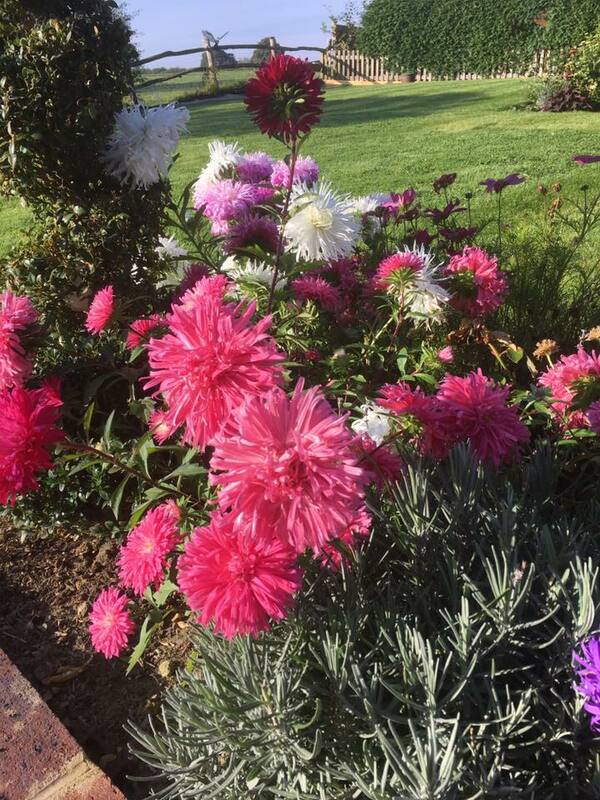 *Aster ‘Ostrich Plume’. When I asked my flowery Facebook chums what their fav HHA were, Aster ‘Ostrich Plume’ was mentioned a good few times by many. Mine were a bit wimpy this year but I see other folks did better…..grrrrrrrrrrrrrrrrrrrr! 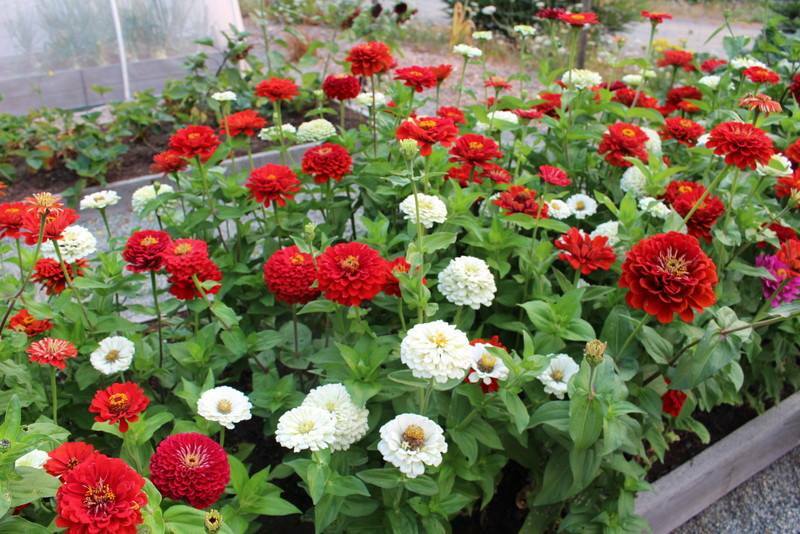 Tanja Pickrell’s, Zinnias…not ‘Mammoth’…but rather splendid! *Zinnia ‘Mammoth’. Zinnia are Marmite flowers…not for everybody…I love their awkward and quirky ways. ‘Mammoth’ are usually the most useful in the cutting patch. Plenty of blooms and a good range of colours. Keep the bed rich and moist for a good harvest. Hi Higgers (Bloody good bloke), I’m a bloke too, and sit firmly into that 4% of your customers who are also blokes. Why don’t more alpha male blokes like you and me, grow Half Hardy Annuals? PS Fancy a beer? …I’ve got a beard. Thank you to the Facebookies for giving their advice and tips. How to sow flower seeds. Positioning your cut flower patch and preparing beds. Flash, being a blokey bloke.